Scott Colton, Dermot O’Halloran and Margaret Bowman help lead the five companies of S&K Technologies. ST. IGNATIUS – Ian Rufe works at a seemingly quiet building on the outskirts of town near the old and new U.S. Highway 93 intersection and where the deer often stop to munch on the lawn around a sign labeled S&K Technologies, Inc.
Rufe is the vice president of S&K Global Solutions, which is one of the five companies within SKT. He recently spoke at the local high school on Career Day about the business. He asked students if they knew what was going on in the building. “No one raised a hand to answer,” he said. Rufe wasn’t surprised when the students didn’t have an answer because he often gets the same response. “People don’t really know what we do out here. It’s pretty interesting when you start peeling back the layers on the onion,” he said metaphorically. 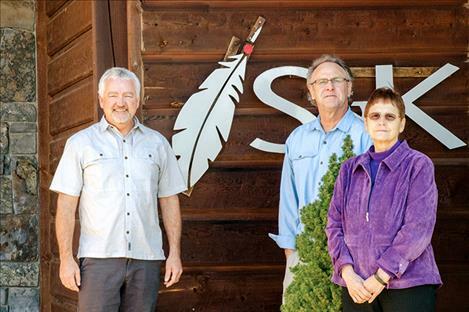 In the simplest of terms, S&K Technologies is the headquarters for a family of five companies owned by the Confederated Salish and Kootenai Tribes. The first thing a person sees after opening the doors at SKT is a lobby with a tall front desk. A glass case containing about a dozen awards sits on the wall closest to the door. The central plaque in the case is an award from the National Center for American Indian Enterprise for business and another from the U.S. Small Business Administration. Past the entrance hallway, where photos of Indian people are displayed from the 1900s, a maze of office rooms contain people mostly working in front of computers. Dermot O’Halloran is the senior vice president of corporate development for SKT. He said people often assume that something is being manufactured in the building, although nothing is made there. Actually, people are working on keeping the five subsidiary companies under SKT going with things like accounting and payroll. “They are doing the payroll for about 600 people working in the different companies,” O’Halloran said. Employees in the St. Ignatius office also work on marketing and communications, information management, business development, purchasing, and other tasks. In one of the offices, Dean Hendrix was busy working in front of two large computer screens. It’s his job to keep the five businesses connected, which can be a juggling endeavor considering that the companies are spread out all over the world including Polson; Moab, Utah; Dayton, Ohio; Washington, DC; and Riyadh, Saudi Arabia, just to name a few. Hendrix is focusing on paperless communication. He said the latest trend in the office is to utilize audio calling through computers instead of desktop phones. In the Polson office on a hill above Ridgewater development, Margaret Bowman works in her office as the president of S&K Global Solutions. She explained that the family of companies developed after the tribe successfully created an electronics company in 1985 that made heater tanks for the United States Department of Defense. She said the tribe started the company in an effort to train and provide jobs for local tribal people. S&K Technologies, Inc. was formed in 1999 to continue that effort. The mission of S&K Technologies and subsidiary companies is to create prosperity and opportunity for the people of the CSKT and impact the shareholders of the 7,000-plus members of the tribe. The tribe owns the companies and makes the final call on decisions like policy changes or starting a new company based on input from a board of directors. The tribal council appoints board members. 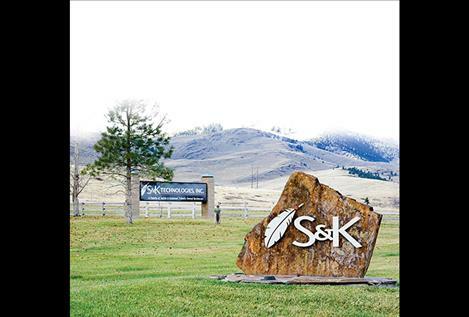 According to a company brochure, the foremost commitment for all S&K Technologies companies is to provide gainful employment, education, and training for the tribal community. “We also strive to provide a yearly shareholder dividend that is directly invested in social and economic programs for our people,” the brochure reads. 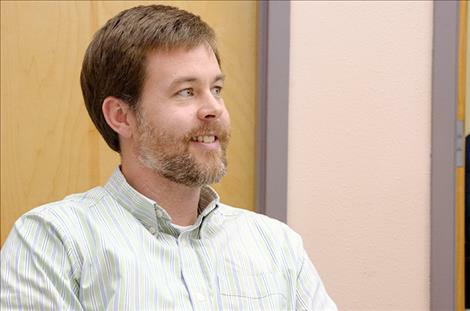 Bowman said scholarship opportunities through the company are often available to help people get an education and certificates are available to help elderly people pay for heating. “We have a heavy emphasis on helping the elderly, the youth, and the local communities,” she said. Jobs are also available for Indian and non-Indian people, but most of the jobs require people to relocate. “If we aren’t impacting people directly by providing jobs then we are bringing money back to the community,” Bowman said. The family of five companies is separately stationed around the world in places where the work is needed. Bowman explained that SKT finds contracts for specific jobs that one of the companies is qualified to do and then bids on those jobs. “We have to compete against a lot of people,” she said. If the company wins the contract, they develop facilities in places pertaining to the work required for that contract, and it’s beneficial to gain new contracts in places that SKT already has developed facilities. “We go where the work is,” she said. Getting the contracts requires strategically creating a bid that isn’t too low or too high and making sure the people available to do the work have specific qualifications. “We have quality standards that we follow,” said Scott Colton. He is the CFO for SKT and the CEO of Adelos, Inc., which is one of the family companies. Colton said that the companies looking for bids for specific contracts are also looking for a company with customer service skills and experience. He added that SKT has become a global competitor for highly skilled contracts. Bowman added that those contracts are for work costing millions of dollars. She said people see that the company received a contract for something like $90 million dollars and assume that they get that much money, but it doesn’t work like that. She explained that the contracts can take years to complete a job and the funding is for parts and labor, so the company only gets a percentage of the funding. 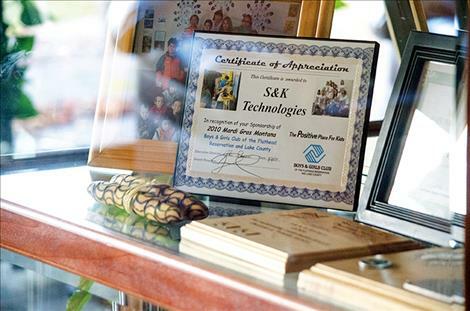 S&K Global Solutions, LLC was one of the first of the five companies added to the SKT family in 2007. The focus for this company is on software engineering and robotics. O’Halloran said the company has worked with the National Aeronautics and Space Administration (NASA) to help develop things like the robotic arm used in space. “Working with NASA is something we are really proud of,” he said. 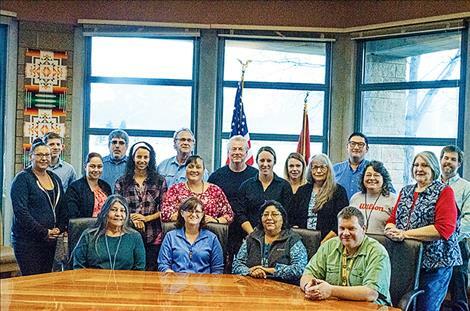 S&K Aerospace, LLC was also formed in 2007 and has returned more than $25 million to the tribal government since its inception. Working with the Royal Saudi Air Force F-15 program is one of the big contracts they won in March 2012. The contract was for $975 million and later modified to $1.63 billion over a five-year period. The contract included organizing a logistics program to support foreign military sales with technical services and other needs of the allied country including acquiring parts and repair services. S&K Logistics Services, LLC was formed in 2011. The company supports worldwide distribution services, defense security systems and maintenance, technical services and budgetary support. O’Halloran said that the logistics company once helped find fire trucks in Switzerland that fit the needs of the Afghani air force as part of one of their contracts. Adelos, Inc. was the fourth company to join the family at SKT in 2012. O’Halloran said this company was already in existence when the tribe acquired 87 percent of it, and because it still has other subsidiaries, the S&K tag wasn’t included in the title. Adelos works with fiber-optic technology, sensors for monitoring situational awareness, and security systems. O’Halloran said they have electrical engineers that specialize in creating systems that can detect aircraft or people walking. S&K Engineering and Research, LLC was added in 2016. They work on technical data management, corrosion prevention, and software development. One of the projects they worked on was to translate technical manuals for F15 jets into Hebrew for the Israeli Army. As for the future, SKT is always keeping an eye out for more opportunities including adding businesses to the family. “I’m looking forward to the next generation of leadership and seeing how we can continue to grow,” Colton said.